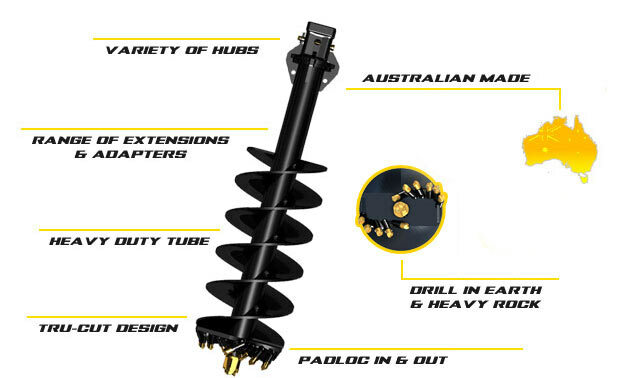 Our 8 Series augers are specially designed for Backhoes, Excavators, and machines up to 30t. teeth behind the lead outer teeth help maintain hole size. Augers 300mm and above feature double helix flighting to. Dig holes in earth, hard soils, dry clay, asphalt, concrete, shale and fracturable rock. For pricing or more information about the Rock Combination Auger: 10T – 20T fill out the form and we&apos;ll be in touch soon. Alternatively call (08) 9457 1544.